During his initial online research Mr Kempski found the Schnauber website and completed the online contact form. Schnauber was one of three companies approached. Sales and Development Manager, Marius, responded to the enquiry and made an appointment to visit Mr Kempski. From the outset Mr Kempski was impressed by Schnauber. He felt that of the three companies selected Marius gave him the most time, the most information and was able to provide a competitive quote at the end of the appointment once a full assessment had been made of the all the requirements. 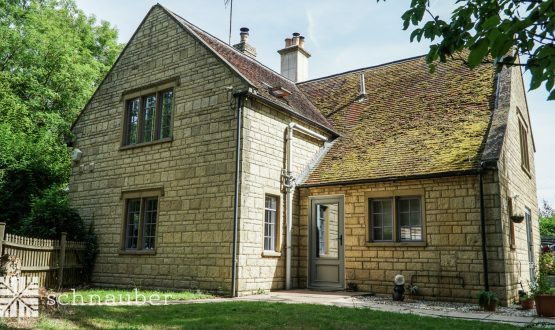 From the first meeting it was clear to Marius that Mr Kempski was keen to retain the heritage character of his home with a relatively maintenance free solution which would result in improved heat retention, soundproofing and security. It took the Schnauber team five days to complete the installation of six timber sash windows and a timber sash bay window. 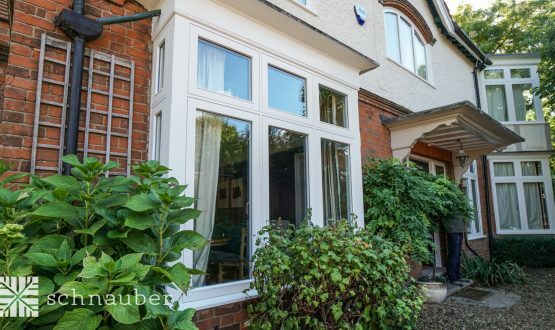 Mr Kempski opted for a white finish for the sash windows to retain the heritage look. Schnauber windows are available in an unlimited palette of colours. The Schnauber technicians impressed Mr Kempski with their attention to detail and wide range of skills including plastering and painting. He also complemented the team on their level of communication throughout the process, commenting that Marius was always accessible to answer any questions. Mr Kempski now feels his home is a delight to look at. He has noticed an improvement in the overall warmth of the property and is impressed with the ease of operation of the new sash windows. He has already recommended Schnuaber to two potential new clients . You can watch the whole video testimonial from Mr Kempski over on YouTube. 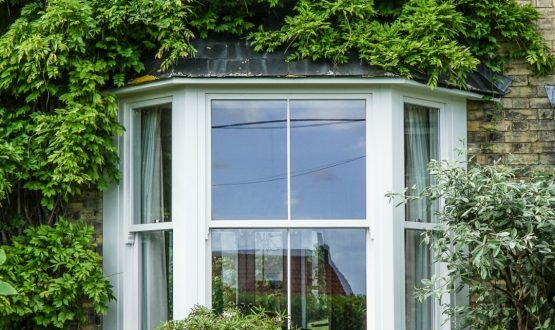 An installation of Schnauber timber sash windows transforms a terraced house in Cambridge as the Schnauber team show off the extent of their craftsmanship.